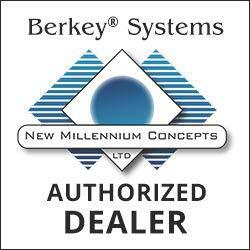 Berkey Depot is a members closed group Facebook meeting place for Berkey owners and perspective Berkey owners to ask and answer questions for one another. I am Dan Van Wie the moderator, We have been selling Berkey Filters since 1998, and have a pretty good idea on how the filters operate and how they can suit your personal needs. In order for this group to be successful a few rules must be adhered to, People who do not wish to follow the rules, be friendly, or badmouth the group or our products will be eliminated from the group. 1. Do not sell anything or promote any event. 4. If you see a question from another member, please try to help, we learn from each other. 5. Respect each other and each others time, and use appropriate language, refrain from cursing. If you can't follow these simple rules, please leave or be banished for all of eternity.